Roll For It! 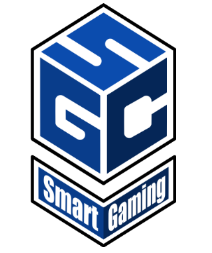 Review – Smart Gaming Co.
September 5, 2017 August 8, 2018 Joshua S.
Roll For It! by Chris Leder, is a lovely pocket sized game where players compete by rolling different combinations of dice to score points, in a way it is very Yahtzee esque in its play style. During game play, players take turns rolling their 6 dice to score cards. The objective of the game is to be the first to score 40 points. Different cards require different combinations of dice to score them and have different point values, based on the difficulty to complete the card. The good news is that you don’t have to roll all the right dice on the same turn. You can save the dice that are correct and reroll the other dice on a later turn hoping to finish collecting the dice you need to score the card. The game play is very fast, with not a lot of time in between turns. This is a great game for filling out game night or just scratching that gaming itch. One great part of Roll for it! is that they have two different color editions Red and Purple. Individually the games can be played up to 4 players, but with both editions the game can be played up to 8 players. Overall, this is a wonderful game and would recommend to gamers and to the lesser board game enthusiast. If you would like more information on Roll for it!, please check out their website.